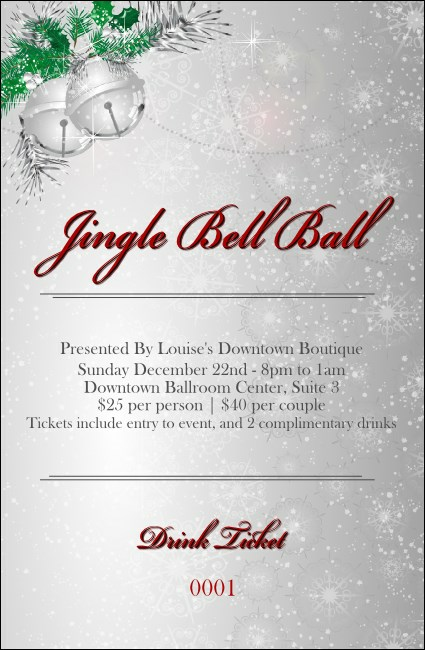 Bring out the best for the most wonderful time of the year and distribute the Jingle Bells Drink Ticket at your holiday party. This template gives you seven lines for event and drink details on a simple, classic design. Serve up egg nog, wine, or hot chocolate with this easy to customize ticket.